The success of your event depends on the details. We have working relationships with SE Michigan's top vendors for things like tables, chairs, linens and more. With Kosch Catering, you get so much more than a caterer, you get an event specialist to help your "to-do" list get crossed off a little faster. Fresh. Seasonal. Delicious. Provide your guests with a unique menu that tastes amazing and complements your venue. At Kosch Catering, we take your special requests and give you a variety of options, so your meal will be just as memorable as your event. Looking for the perfect place to host your event? 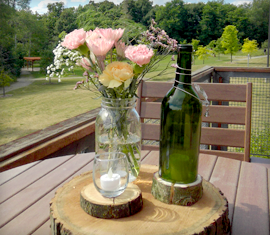 We have access to metro Detroit's best wedding venues and event spaces. Indoor, outdoor, formal or funky, our event specialists can help you secure the perfect location for your special occasion. Kosch Catering is a well known Metro Detroit catering company with preferred vendor status at SE Michigan's favorite party venues. We'll help you find the ideal location, plan the menu and button up other details like tables, chairs, linens and more. We specialize in parties of all kinds, like weddings, wedding showers, baby showers, birthday parties, retirement parties, corporate events, grand openings, banquets and more! Since 1981, Kosch Catering has been building partnerships with some of SE Michigan's most beautiful golf courses, banquet centers, Metroparks and popular outdoor wedding venues. We specialize in outdoor wedding catering for parties of all sizes and styles and can help you plan your special day. 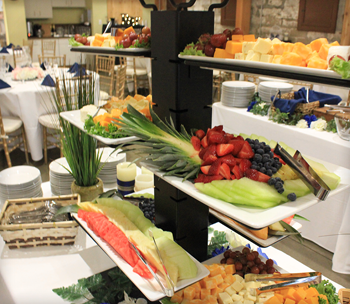 At Kosch Catering, our seasoned staff goes the extra mile to ensure your event goes as smooth as possible. We've catered thousands of Michigan weddings, corporate events, banquets and other special occasions, giving each one our full attention and service. If your event requires something not found on our website, just ask! We will do everything we can to make it happen.